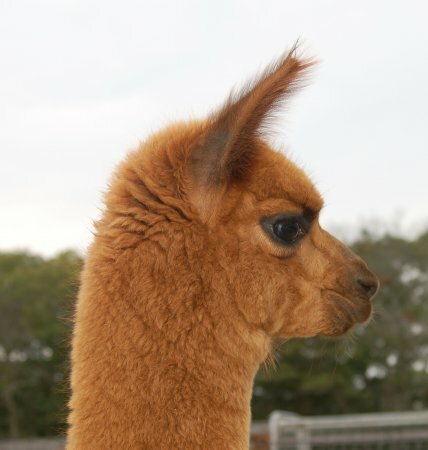 Kingsley or "Bruno" is a male with incredibly fine, soft handling fleece. He has a strong, thick-boned conformation and a perfect bite. He also has a fantastic lineage! 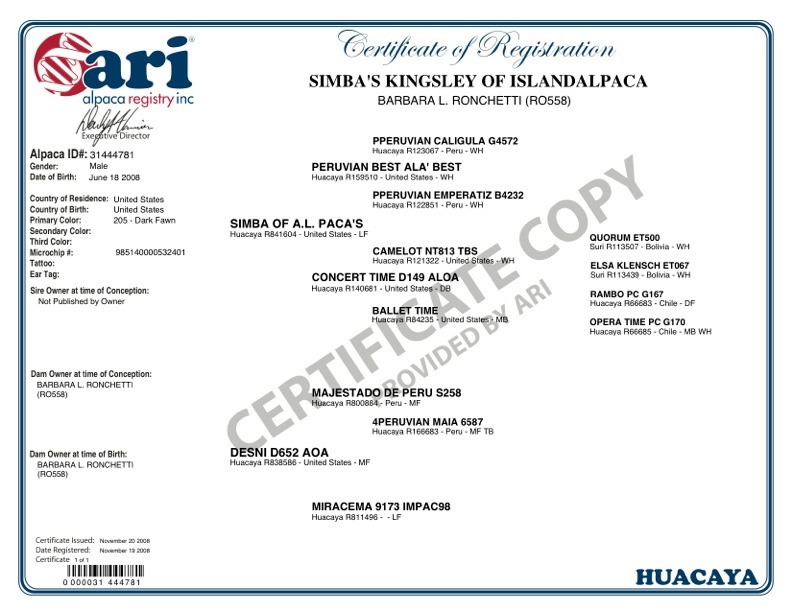 His sire is Simba who has won nine champions and over 25 blues. His dam, Desni herself has placed a blue for "Produce of Dam"! Kingsley is a very sweet boy who is very gentle. 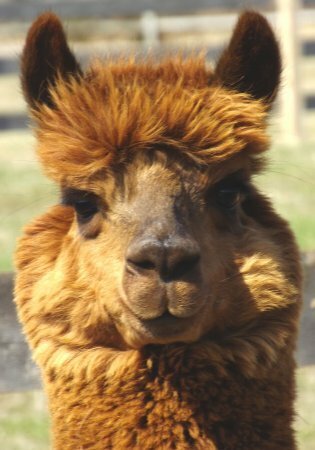 Many times for our Alpaca Discoveries we use Kingsley to show his fleece, teeth and feet. 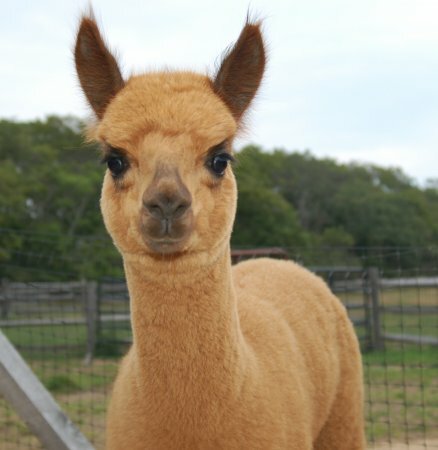 Afterwards they can get an alpaca hug, the kids love this! Kingsley doesn't mind and just stands there patiently. A wonderful disposition! 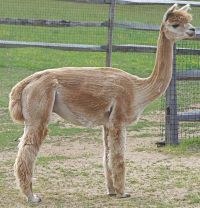 She is the dam to Island Alpaca Angelia. A blue ribbon/reserve champion. Winner of nine Championships and one dozen Get of Sires.